During the Advent season, Memorial United Methodist Church will bring the little town of Bethlehem to our very own THOMASVILLE. Our goal is to share the Christmas story in an immersive way, with all of the sights and sounds and even smells that may have been encountered in first-century Bethlehem. We will do this through a drive-through Nativity experience, called “What Child is This…The Journey to Bethlehem”..
We will transform our parking lot into a village, our congregation, into citizens of Bethlehem and the community of Thomasville into a place where God’s love is encountered in a real way. 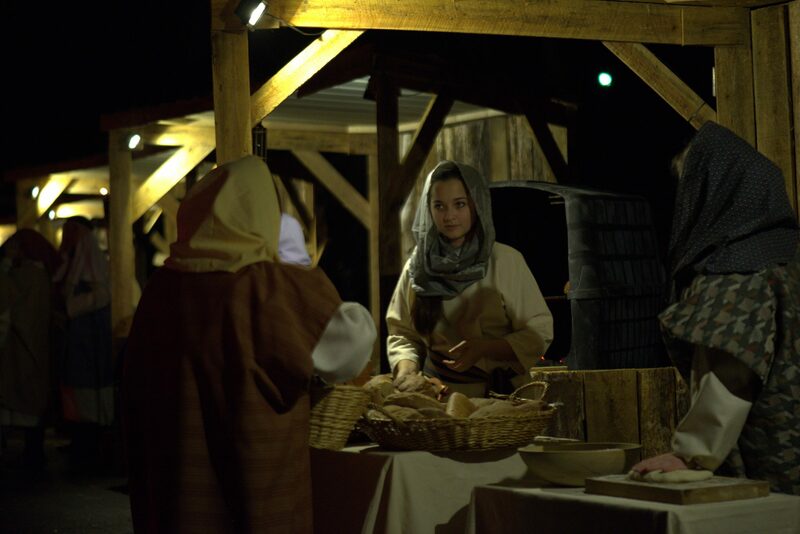 WHAT CHILD IS THIS: A JOURNEY TO BETHLEHEM will be presented on Friday, Saturday & Sunday nights (6:00-9:00pm each night). We hope that you will join us as we answer the ultimate question of the manger: WHAT CHILD IS THIS? May we find the answer as God uses our church to share this wonderful gift with the Thomasville community!